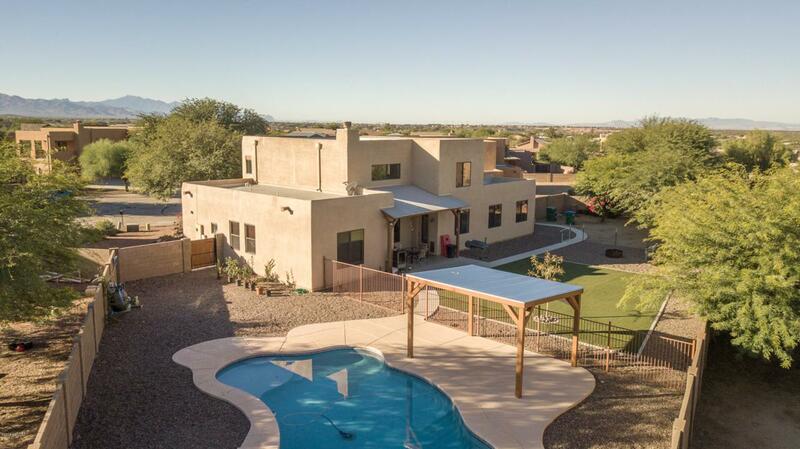 Beautiful 3 or 4 BR home in Rincon Trails! Cul de sac location is just a quick walk to Community Park and amenities. Gourmet kitchen features upgraded cabinetry, slab granite counter tops & stainless steel appliances. 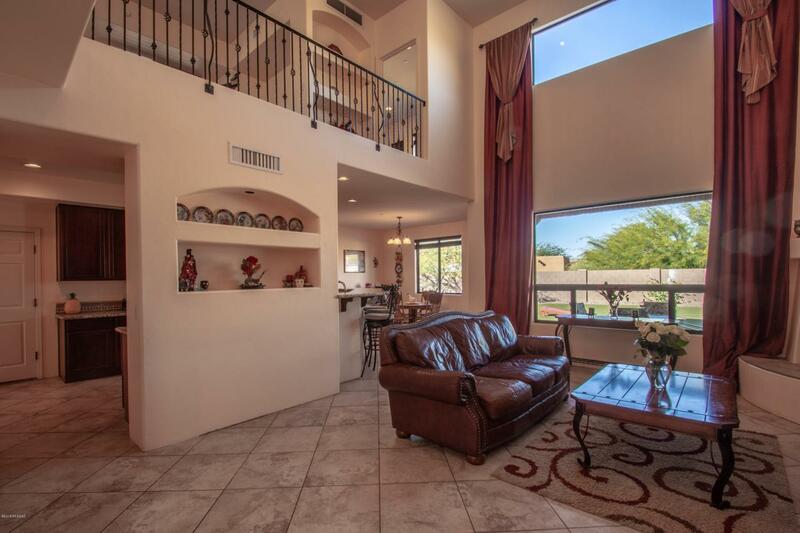 Great Room with cathedral ceilings is open to Kitchen, Dinette plus formal Dining Room or Den. Owner's Suite is on main floor plus additional bonus room. Upstairs features 2 more bedrooms and a bath plus a huge second bonus room, a balcony plus a loft area. 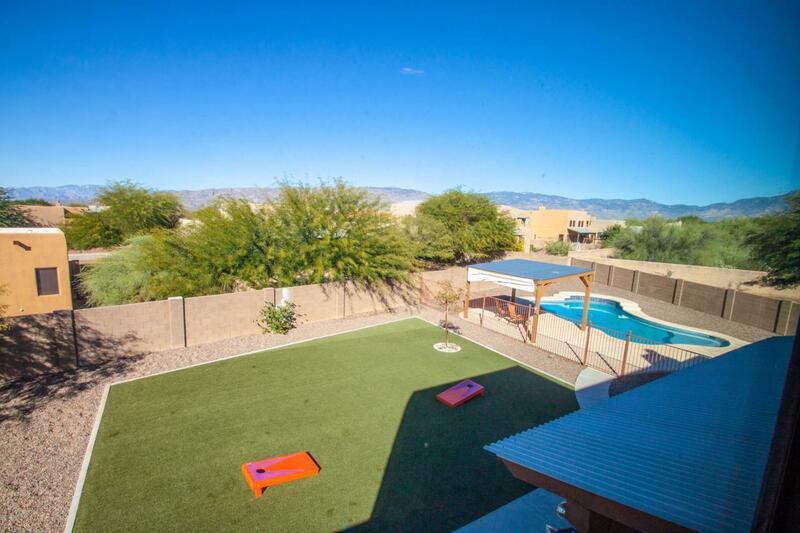 Outdoors boasts a sparkling pool with shady ramada and a large play yard off the covered patio, shed and fire pit area. 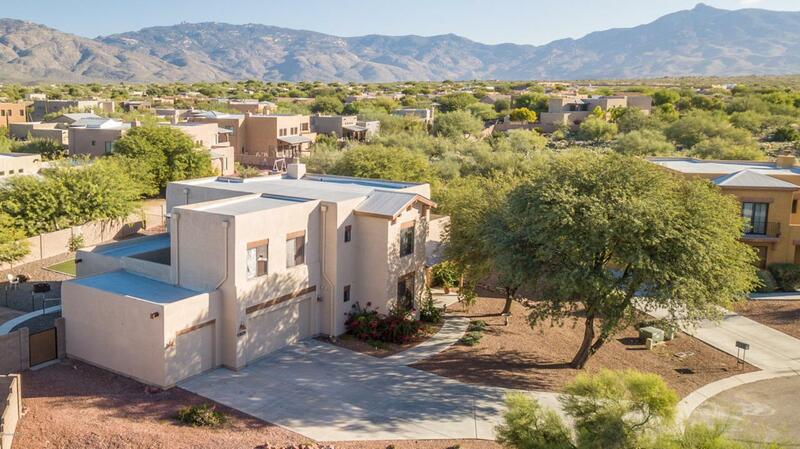 Great Community Amenities including Basketball & Sand Volleyball courts, ramadas and playground, park and jogging trails. Vail School District!